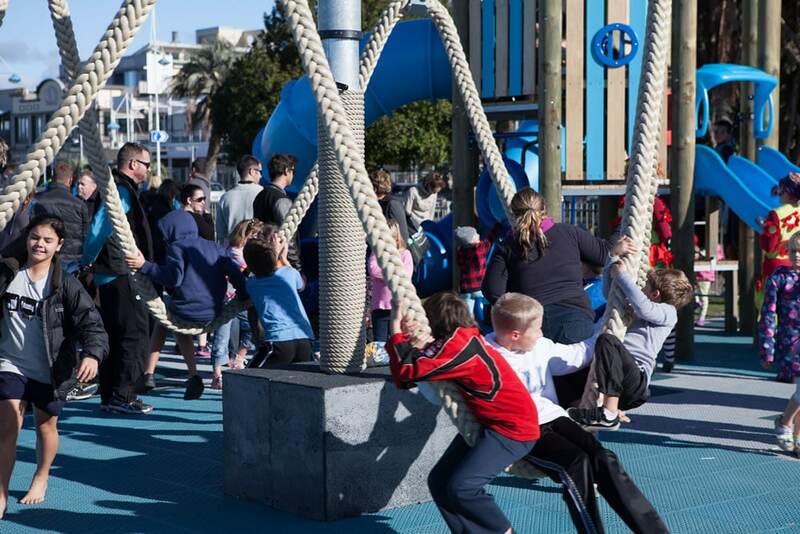 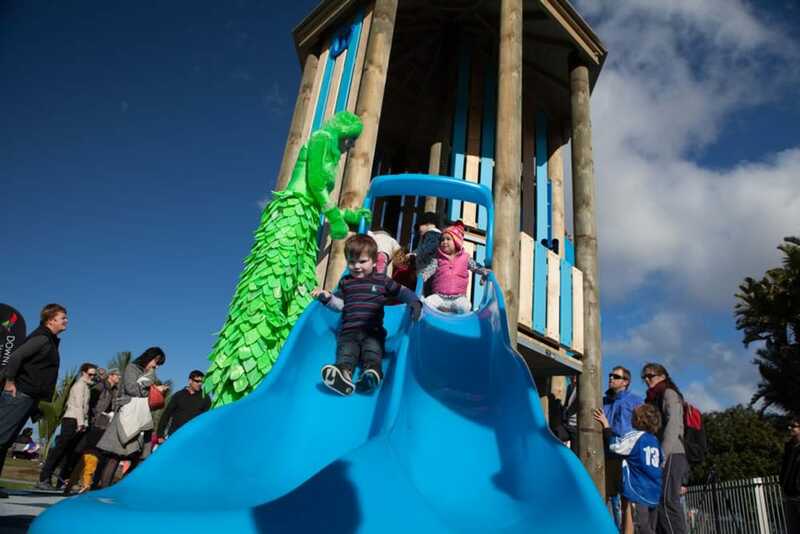 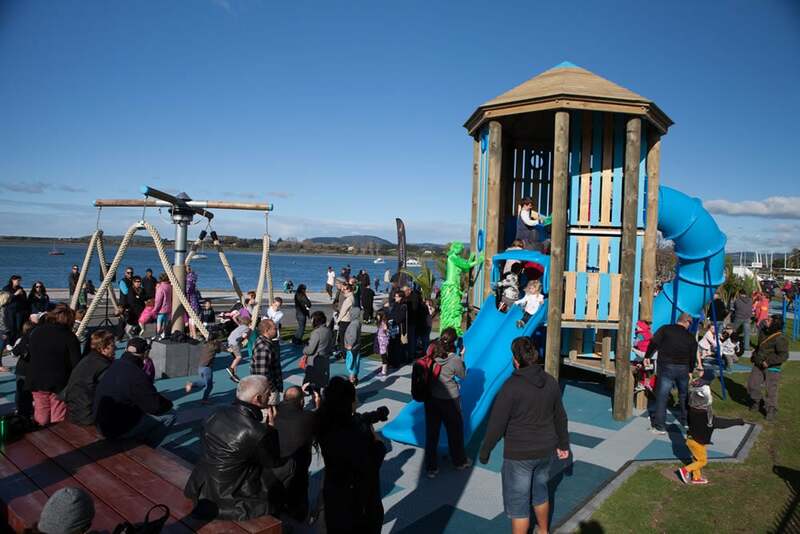 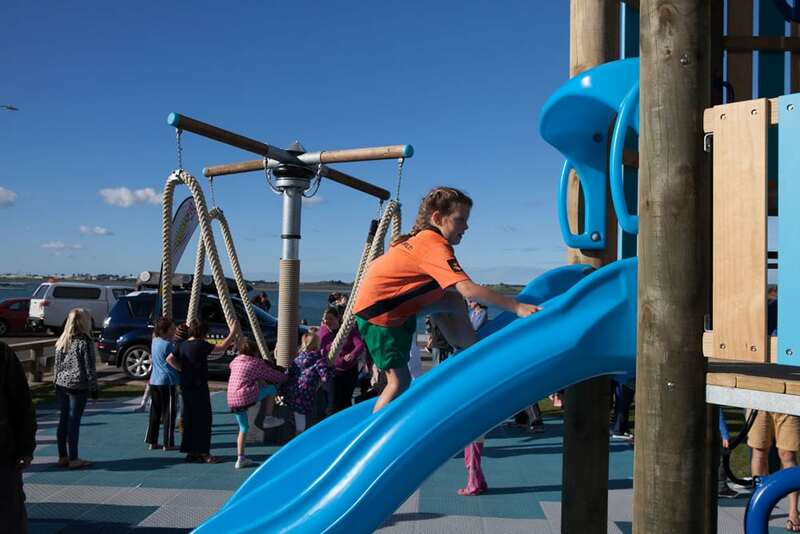 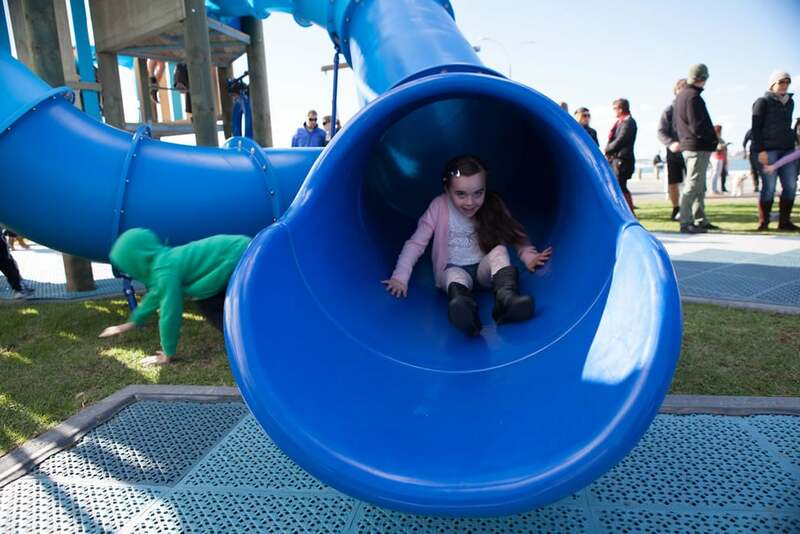 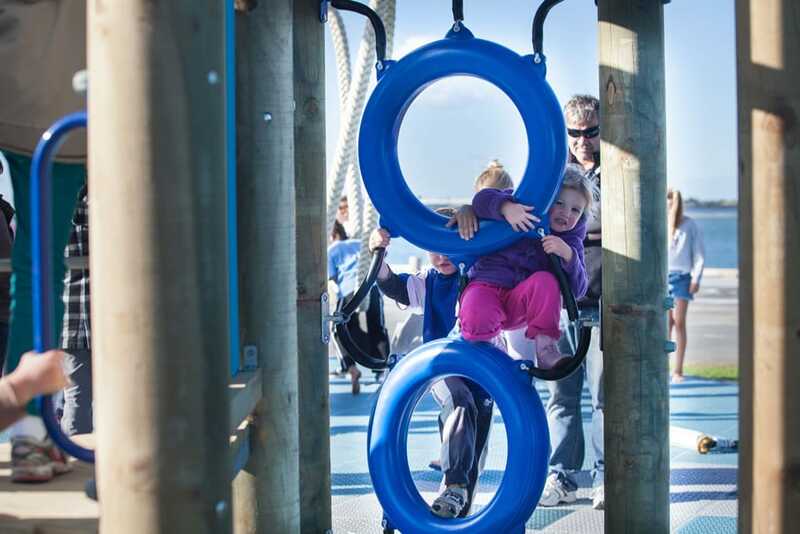 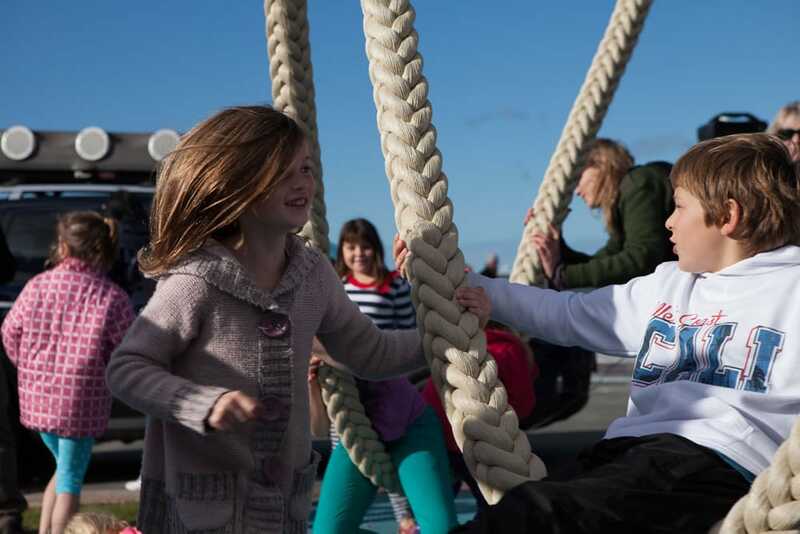 The vision was to design and install a playground targeted at families, while being useable for all ages, with a subtle Marine Theme to reflect the natural landscape and existing park splash pad while embracing the rich history of Tauranga Harbour. 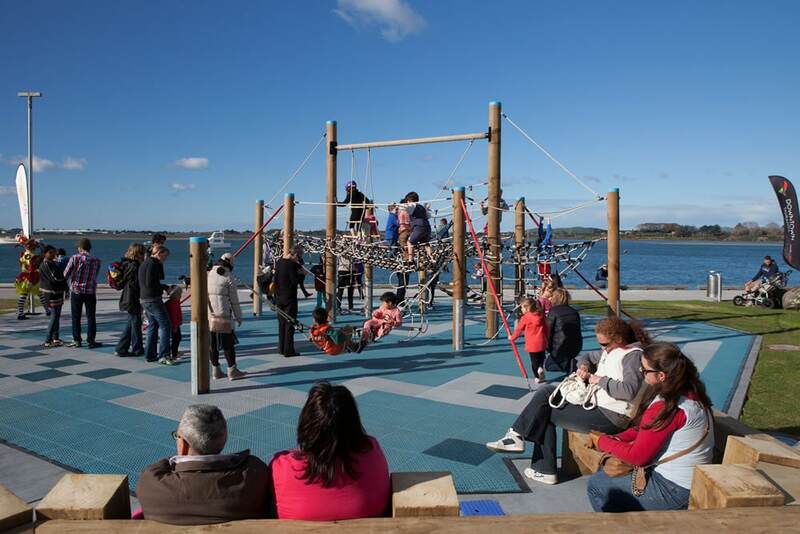 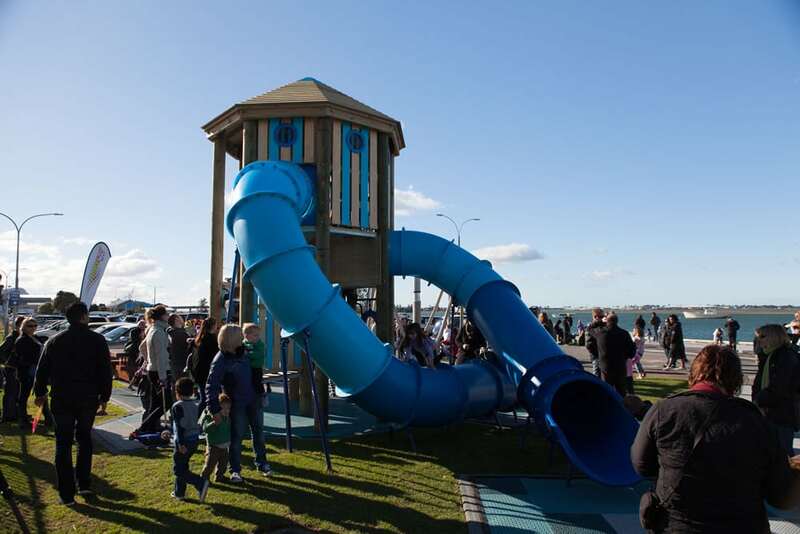 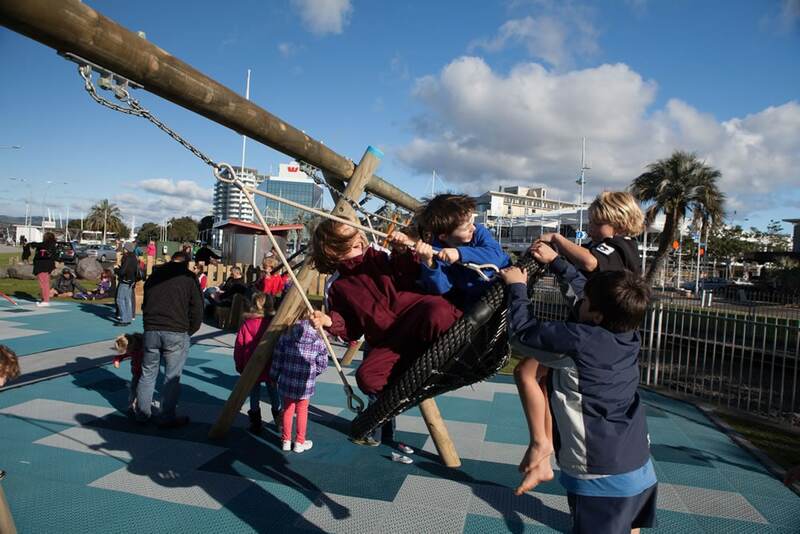 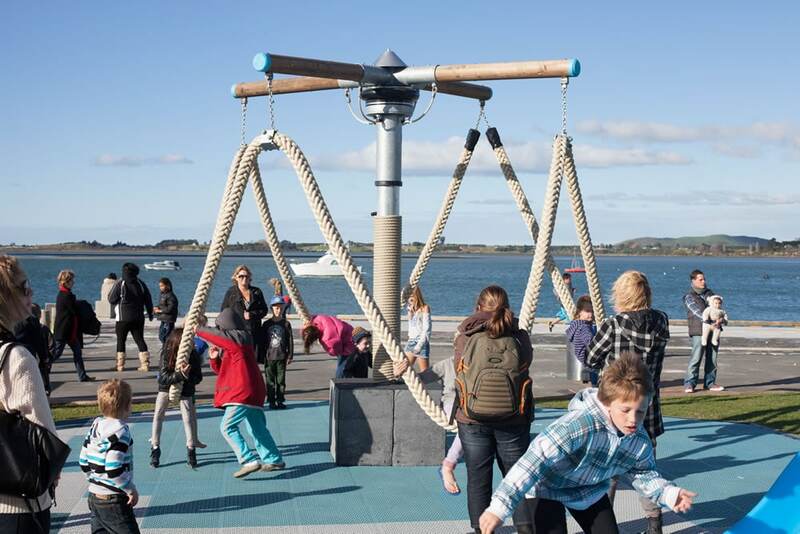 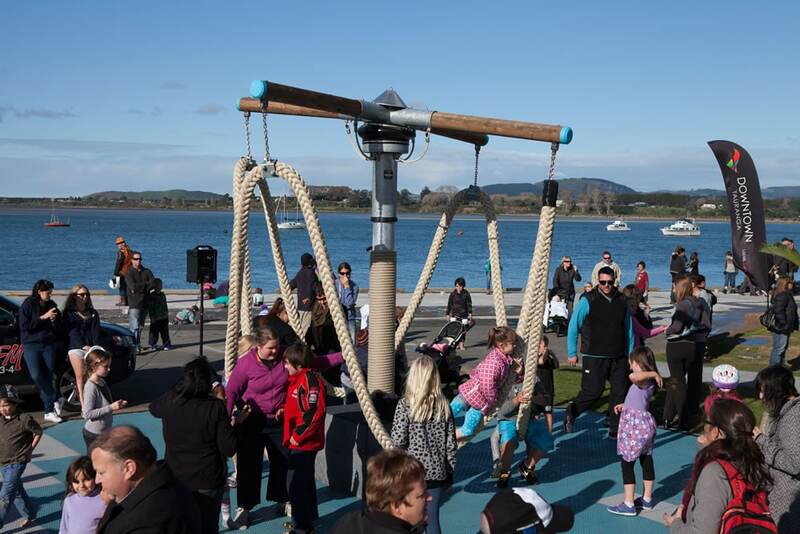 The Waterfront Playground is located in the centre of the Tauranga city central business district it compliments a number of other public activities on the Waterfront. 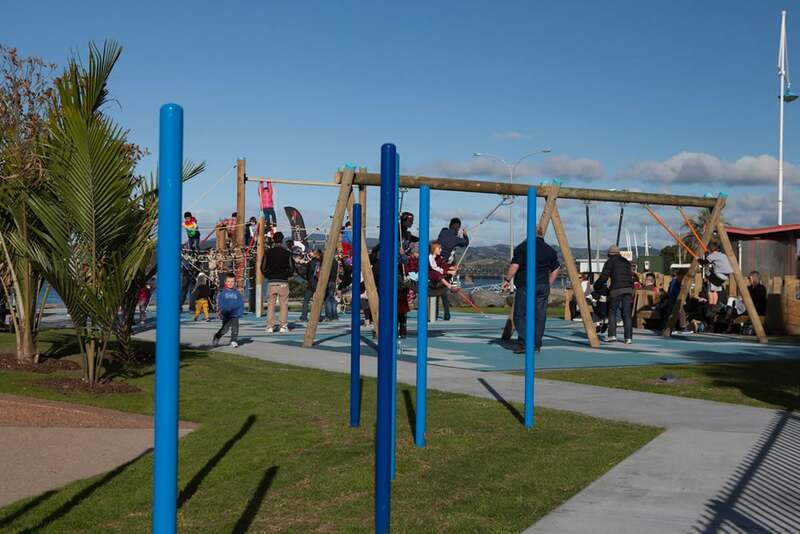 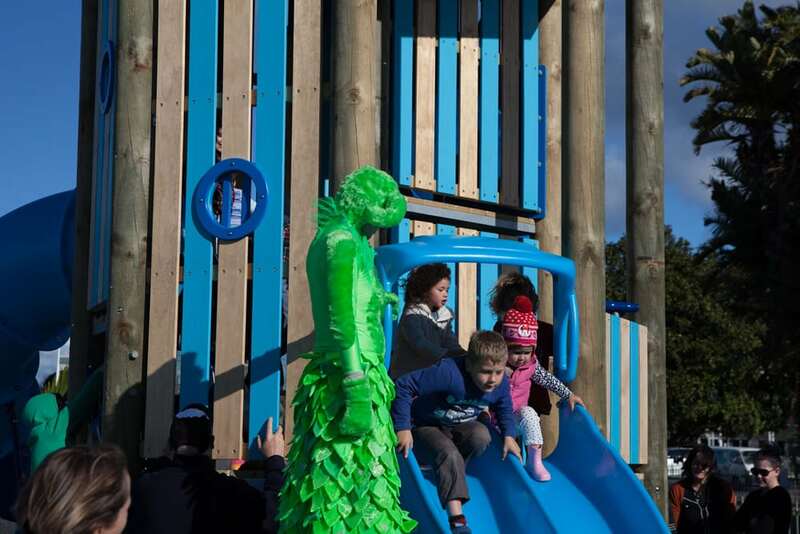 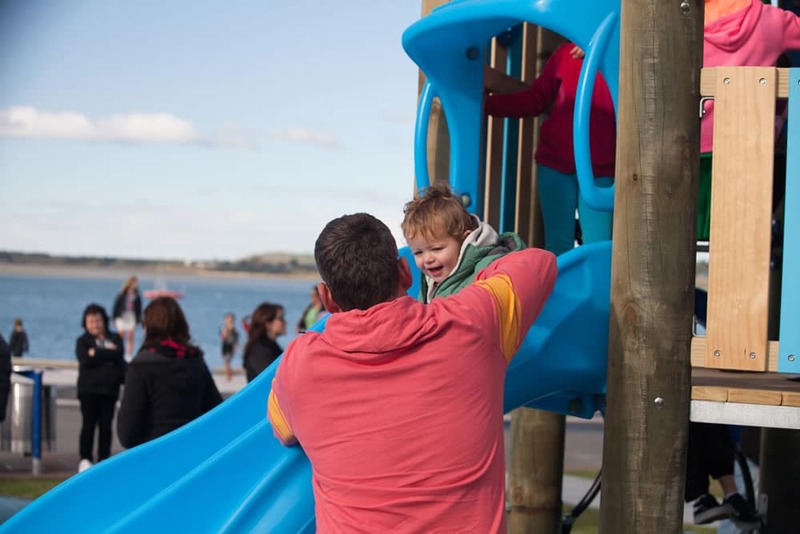 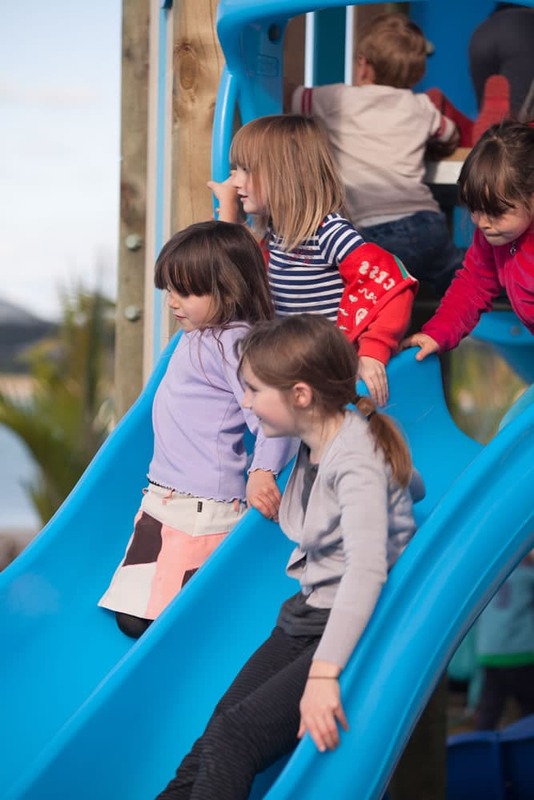 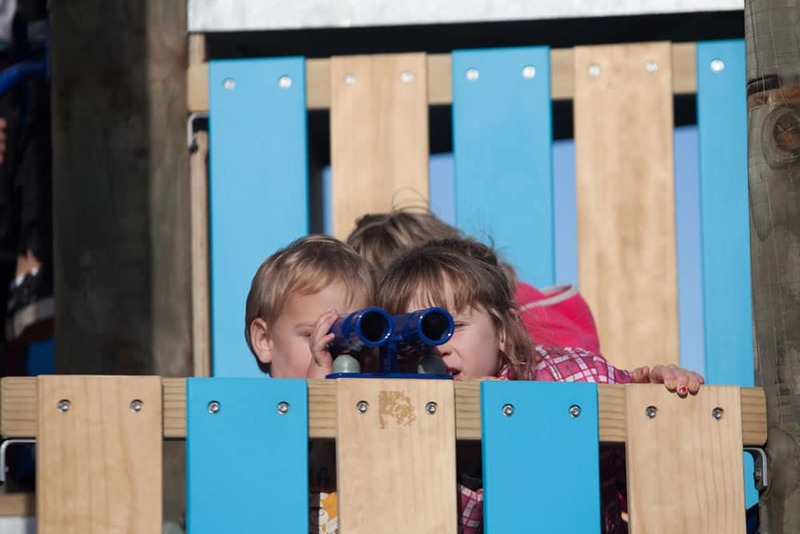 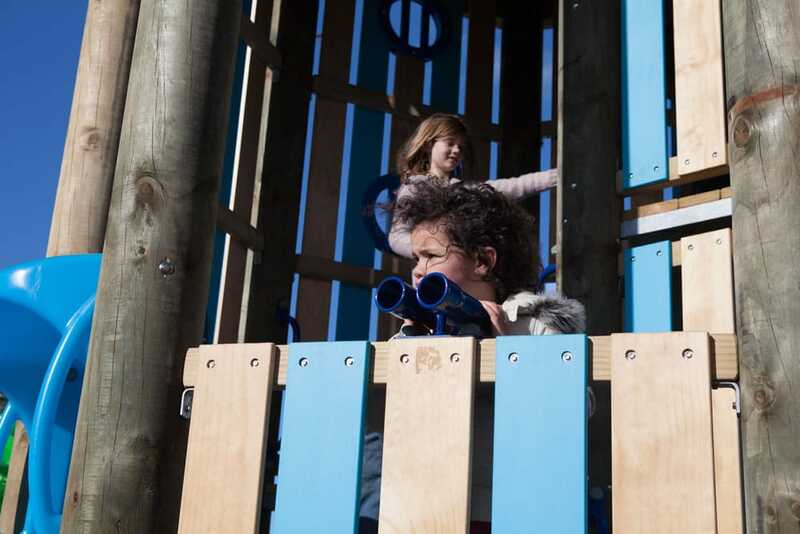 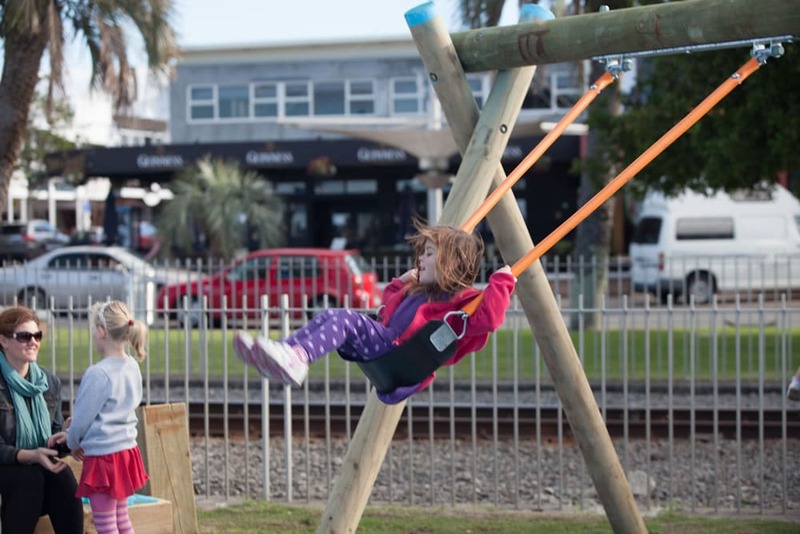 It is an anchor destination park needing a design different from all other existing playgrounds in the Bay of Plenty and able to stand out on a national level as a real statement. 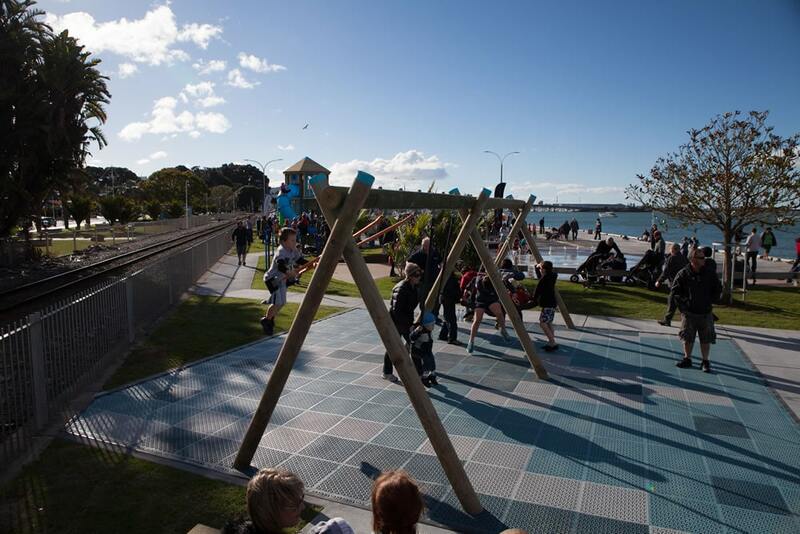 The design had to enhance the ambiance and charm of this inner city play space and stay within budget. 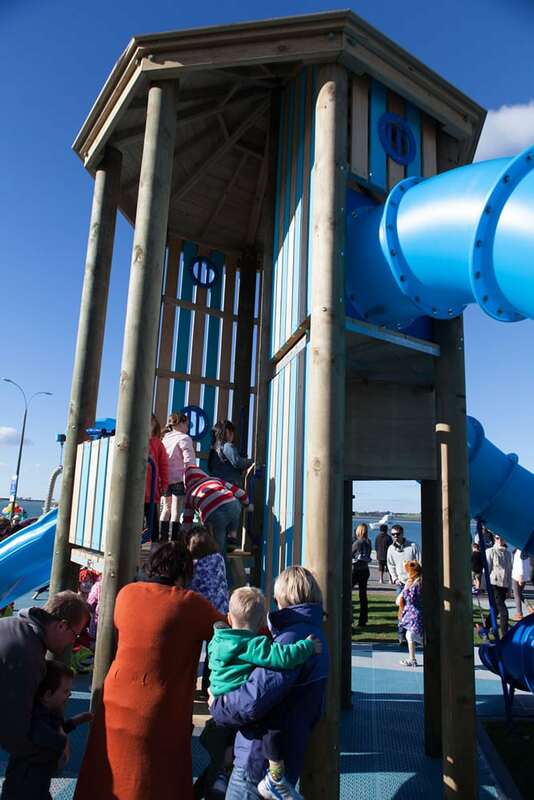 With the budget for the project having undergone major reductions, we had to keep site work costs to a minimum. 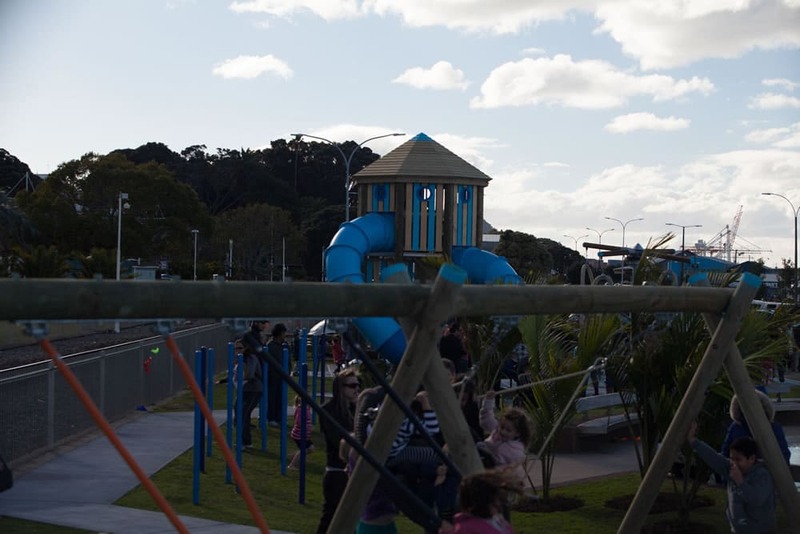 our design had to be flexible to cope with a multitude of underground pipes, services and an underground pumping station all of which had to be avoided. 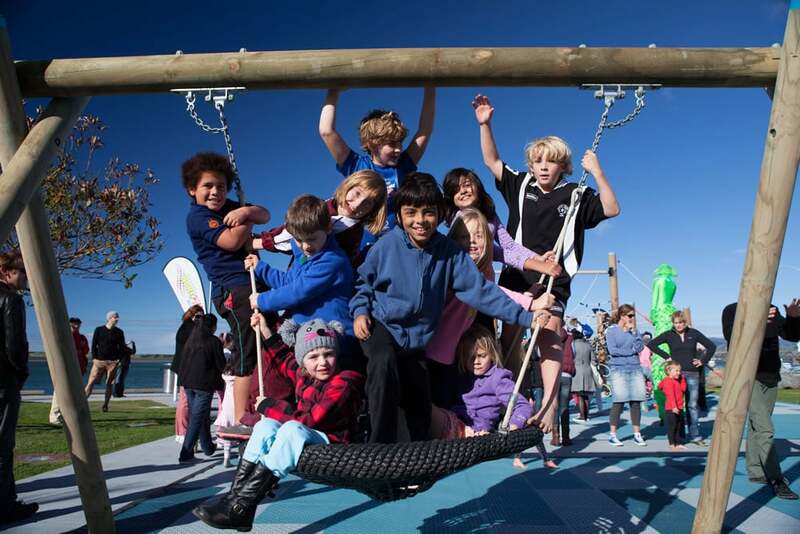 Playground Centre worked with the Tauranga City Council to design an open plan playground on the existing site with a central splash pad, surrounded by trees and a pedestrian pathway. 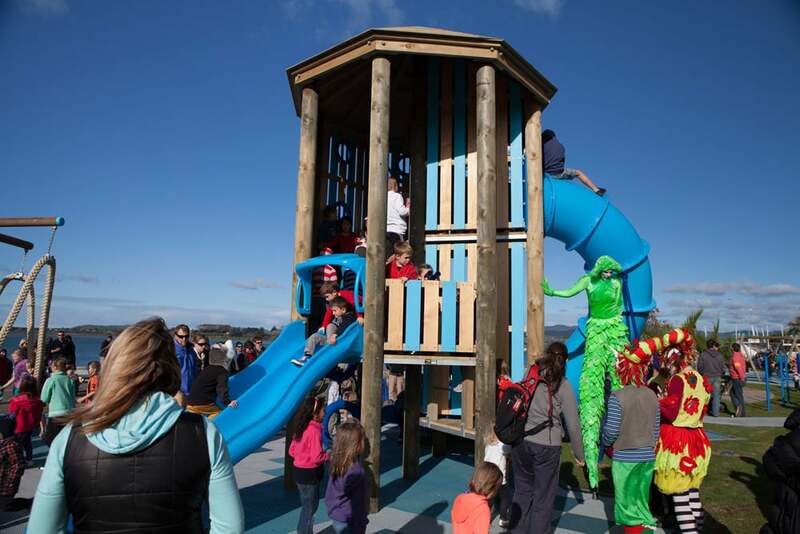 Play pieces such as a “Light House” tower with 2 x tube slides a rope “Pirate Ship”, a “Rope Dancing Snake Swing”, and “Flying Saucer” swing set, were specifically chosen and positioned to compliment the marine theme. 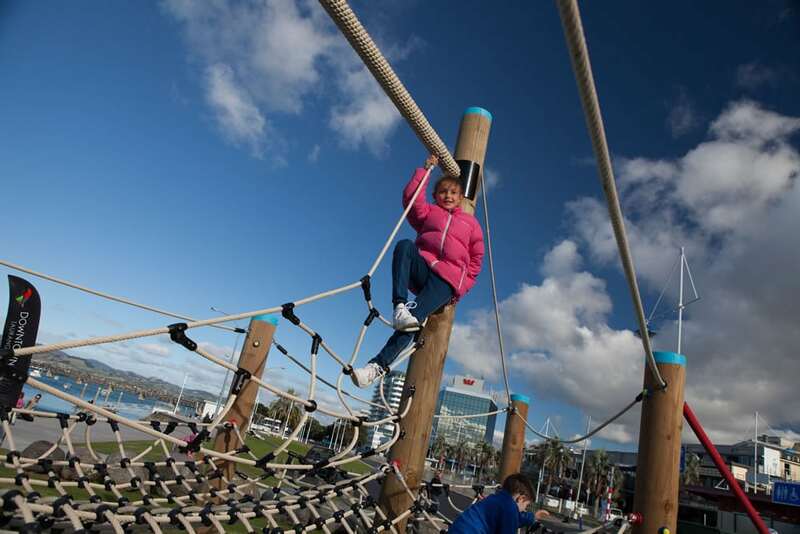 These items of equipment encourage outdoor recreation for the whole family, while providing a physical challenge and lots of fun.